In 2017, through our Neighborhood Revitalization (NR) program, we introduced a Critical Home Repair initiative. The focus of this initiative is on accessibility improvements, mobility modifications, weatherization enhancements, and critical home repairs that are crucial to help families to remain in their own homes and for seniors to age in place. 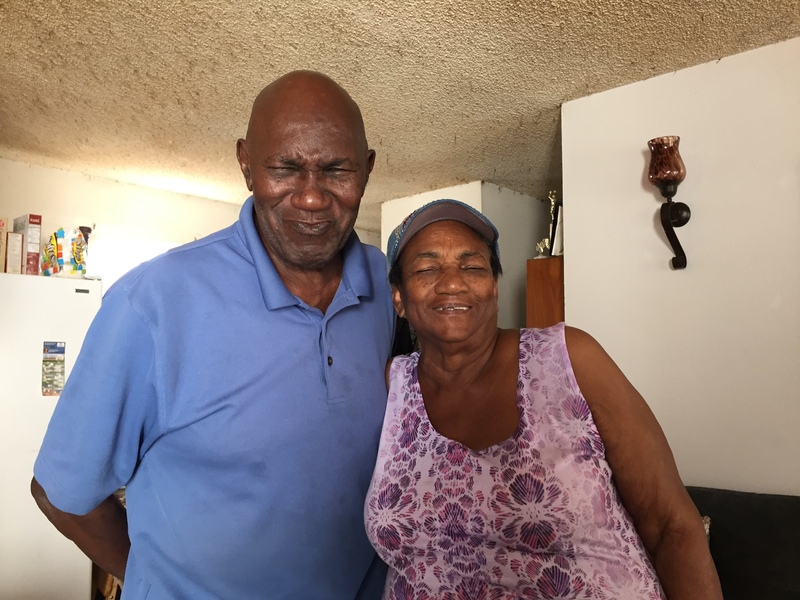 One of our success stories is with homeowners Marie and Ozell. They have been members of the Logan Heights community for over 40 years. In 1971, Marie was a single mother who had just purchased her first home and began her career at Mercy Hospital. Now, she has retired and lives in that same house where she raised her three children. Today, grandchildren visit and her home is busy with family. Marie and Ozell first heard about Habitat’s Critical Home Repair initiative through a church member. Their home was in evident need of repairs, and by meeting our qualification guidelines we have been able to address significant health and safety concerns, including lead and asbestos remediation, window replacement, and the addition of two new bathrooms. Repairing Marie’s home will allow her and her family to live a stronger and a more stable life in their beloved community of Logan Heights. Thank you to our staff and volunteers for all the hard work and dedication. We could not do this without your help!